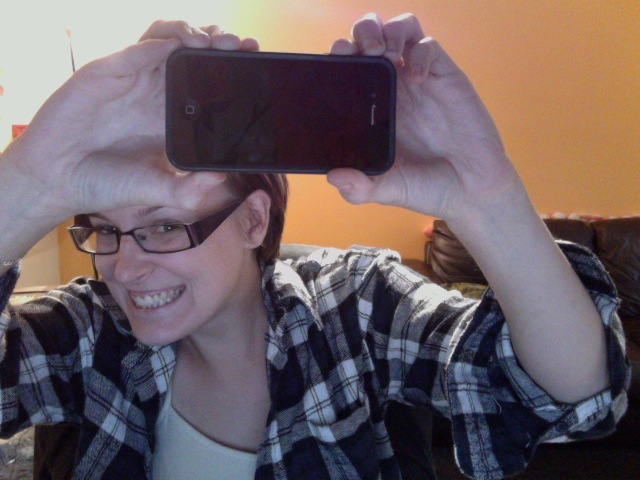 Accidental Wonderland: iPhone breakage in more ways than one. It was surprisingly easy. It fell, like it had so many times before. 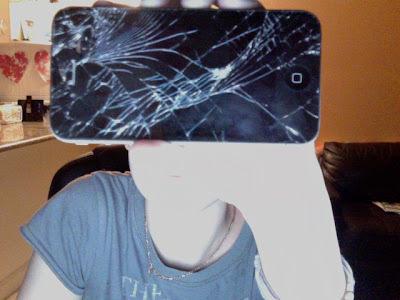 It smashed so badly I had to put a screen protector (how ironic) on it so the glass didn't fall out or cut my hand. My MIL got sick of me having a smashed phone so for my birthday she got it fixed for me. Yay (thanks)! It did mean I was without my phone for over twenty-four hours. What did I do? It was a day with munchkin so we sat down together and drew, sang songs, danced, played cars and blocks, and watched movies. I read a whole book from cover to cover. Mind you that meant I didn't go to bed early. I ate more than normal. I watched more movies and actually knew what was going on. So, if I didn't have an iPhone I'd spend more money, read more, blog less and be fat. I got my phone back and it's SO shiny! I love it. I can play Where's Wally again and he won't be so stealthy. It's been charged three times since I got it back yesterday around 5pm and it will be charged again tonight. Now all I need is an iPad2.